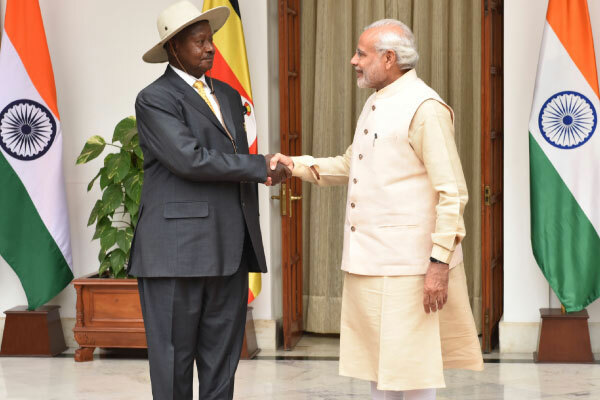 India’s Prime Minister Narendra Modi has offered Uganda a Cancer Therapy machine. The machine will be installed at the Uganda Cancer Institute. 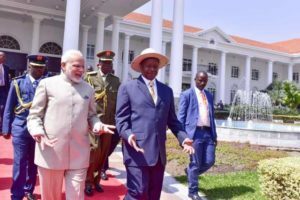 Modi who was in Uganda for a two-day state visit told journalists after Bilateral talks with his host President Museveni, that the machine will serve cancer patients in East Africa. Museveni further added that the loan from India will enable Uganda assemble its own solar power water pumps for irrigation purposes. India-Uganda relations cover a broad range of sectors including technology, cultural, commercial, economic and commercial co-operation.